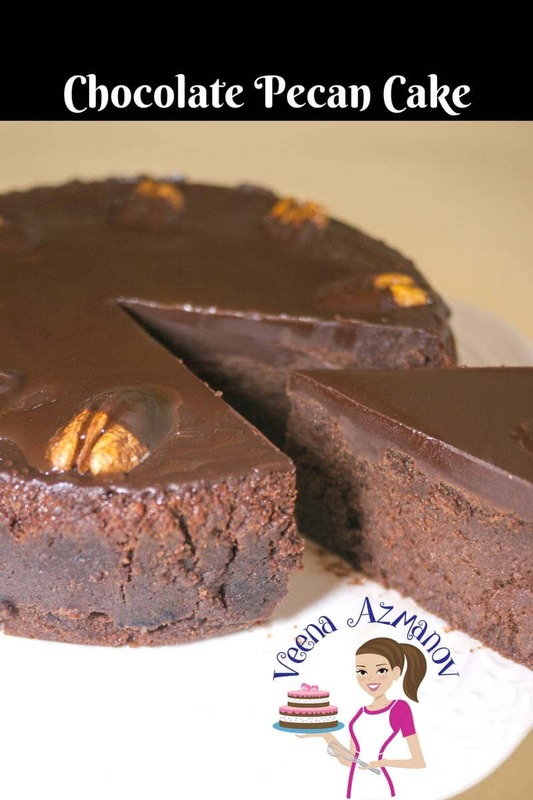 This Chocolate Pecan Cake is a luxurious flourless chocolate cake aka gluten-free chocolate. This simple, easy and effortless recipe gets its light and airy texture from the pecans and whipped egg whites. With chocolate in the batter and as a topping this is a chocolate lover’s ultimate dessert. The recipe does not use any flour so it makes a perfect dessert during Passover too. I came to Israel in 2005. Every year for Passover the whole family gets together for dinner and everyone brings their contribution to the table. I usually was always the one in charge or dessert and a side dish. BUT Passover means no flour. So I had to think of a dessert that was without flour. Well, I bought this Chocolate Pecan Cake and everyone loved it. Since then I have been making this dessert every year for Passover. Yup! Every year! It’s now become a family tradition. Everyone expects me to bring this for Passover now. They now call it a Veena’s Passover Chocolate Cake. Pecans – This recipe uses pecan meal instead of flour. Now pecan meal is just pecans pulsed in the food processor until ground fine. Nuts – if pecans are not your choice of nuts go ahead and use other nuts as well. I have tried this with cashews and almonds as well as walnuts and almond. A word of advice when using walnuts – while they are a perfect combination with chocolate they are high in fat so they tend to release too much oil and they do have a strong flavor. It would be recommended to use half walnuts and half almonds instead. 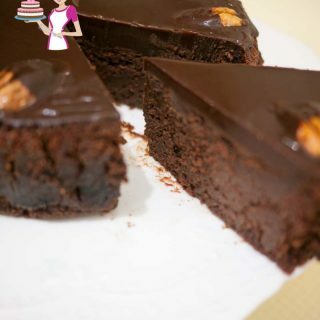 Chocolate – This cake is all about the chocolate so it is really really important that you use good quality chocolate. I like to use 70% cocoa, but minimum 60% would be highly recommended. Eggs – Sounds like a lot of eggs compared to the other ingredients but that’s what keeps this recipe so light and airy. Cream of tartar – this helps stabilize the egg whites when beating to stiff peaks but if you can’t find it, omit it and beat the egg whites with just a pinch of salt. Unsalted butter – I always prefer to use unsalted butter but salted works just as well. Omit the salt in the recipe if you choose to use unsalted butter. 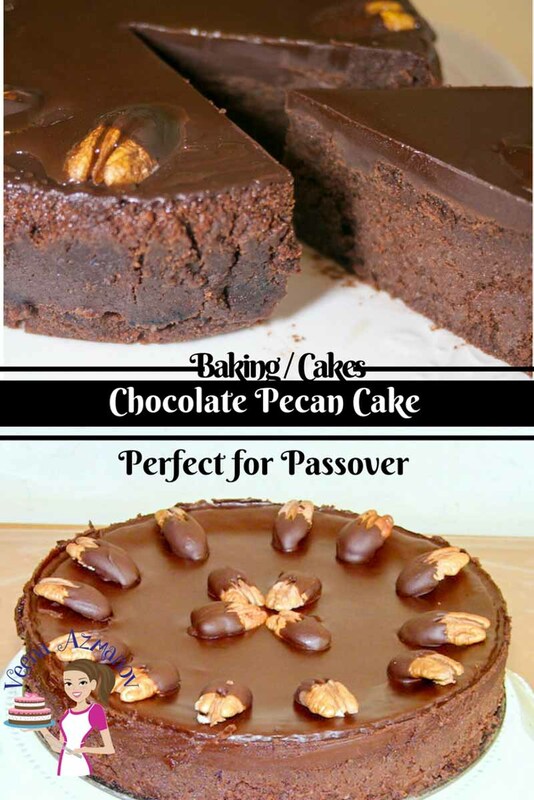 Whether you call it – chocolate pecan cake, flourless chocolate cake, gluten-free cake or chocolate cake for passover. I promise you, you will enjoy this cake. If you toast and cool the nuts before you pulse they taste better and they even pulse better. 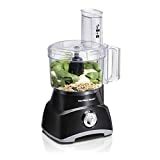 Start by adding the nuts to the food processor – pulse a few times until coarse ground. Then add a tablespoon or two of sugar or powder sugar from the recipe and add it to the food processor. The sugar will prevent the nuts from releasing any oil and grind them further finely. Continue with the recipe using the remaining sugar. The sweetness will be adjusted when you add this pecan meal. Prepare an 8″ baking pan for baking. Dissolve coffee in boiling water and set aside. Preheat oven to 120 C /240 F and toast the nuts for about 10 mins. Remove the nuts. Then turn the oven up to 350 F / 170 C.
Place the Nuts and 1/3 of the sugar in a food processor. Grind to a fine powder. Do not over grind as the nuts will get oily and become a paste. You can use a sieve to make sure it is ground fine. Melt the chocolate and butter in a microwave-safe bowl at 30 sec intervals until melted. Place the eggs yolks and 1/3 of the sugar in the bowl of an electric mixer and whisk until light and fluffy. Set aside. In a clean greaseproof bowl – whisk the Egg Whites, salt, cream of tartar and remaining 1/3 of the sugar. Whisk until stiff peaks form but still shiny. Add the Chocolate Mixture to the Egg Yolks mixture followed by the Vanilla. Next, add in the ground nuts and cooled coffee. Fold the egg whites into the chocolate mixture… first with the whisk then switch to a spatula using a folding motion. The batter is now ready for baking. Pour batter in the prepared baking pan. Place the pan on the center rack, add 1 cup of boiling water on the rack outside the pan. This will help keep the cake moist. Bakes for about 30 to 35 minutes, The top will be crisp. There may be a crack on the top and you will see that the cake is almost done. If you insert a skewer it will have some cake crumbs but not wet gooey batter. Let cool in the pan completely, the center will sink so don’t worry, it’s normal. Melt the Chocolate, Butter, and Honey in a microwave-safe bowl. Half dip a few pecans in the chocolate glaze as shown in the video for decorations. Place on a parchment paper and in the fridge to set for a few minutes. Pour the rest of the chocolate glaze on the cake. 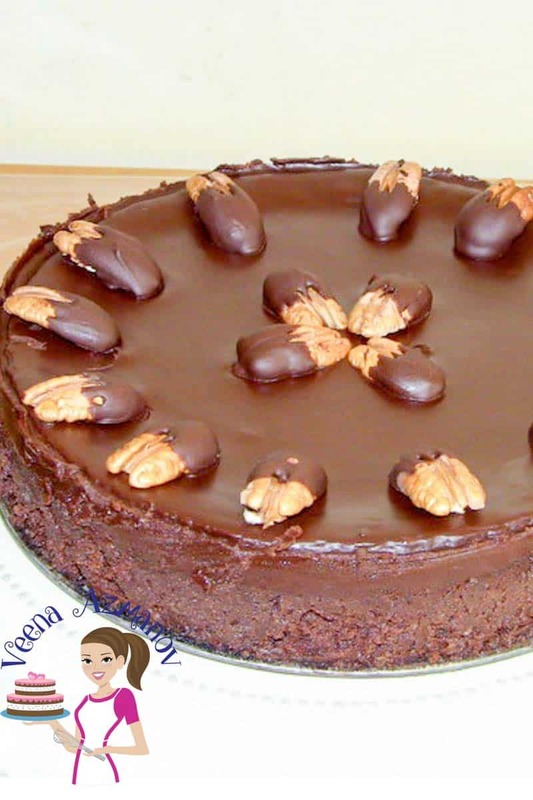 Place the nuts on the cake as shown in the video. Let the chocolate set in the fridge. Once completely cooled. Use a hot knife to loosen the sides of the cake. You can use a few crushed pecans for the sides if you wish too! Video on YouTube – Don’t forget to subscribe for more videos every week. This Chocolate Pecan Cake is a luxurious flourless chocolate cake aka gluten-free chocolate. This simple, easy and effortless recipe gets its light and airy texture from the pecans and whipped egg whites. With chocolate in the batter and as a topping this is a chocolate lover's ultimate dessert. 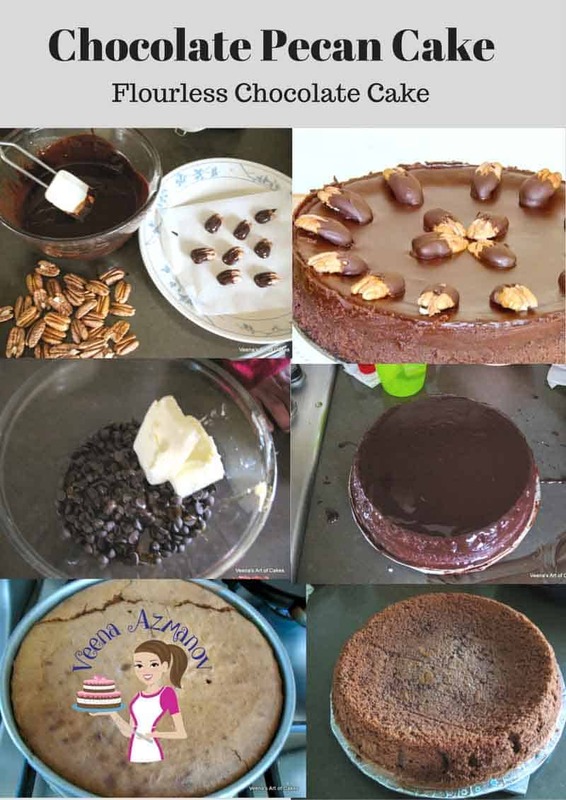 The recipe does not use any flour so it makes a perfect dessert during Passover too. 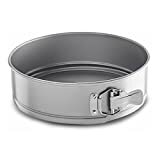 Prepare a 9" baking pan for baking. In a clean grease-proof bowl - whisk the egg whites, salt, cream of tartar and remaining 1/3 of the sugar. Fold the egg whites into the chocolate mixture... first with the whisk then switch to a spatula using a folding motion. Let cool in the pan completely, the center will sink so don't worry, it's normal. Your nut loaded chocolate cake sounds and looks YUMMY !!!!!! This recipe is a must try and absolutely perfect for Passover. Thank you, Gabi. This is perfect for Passover. This flourless cake looks absolutely gorgeous!!! 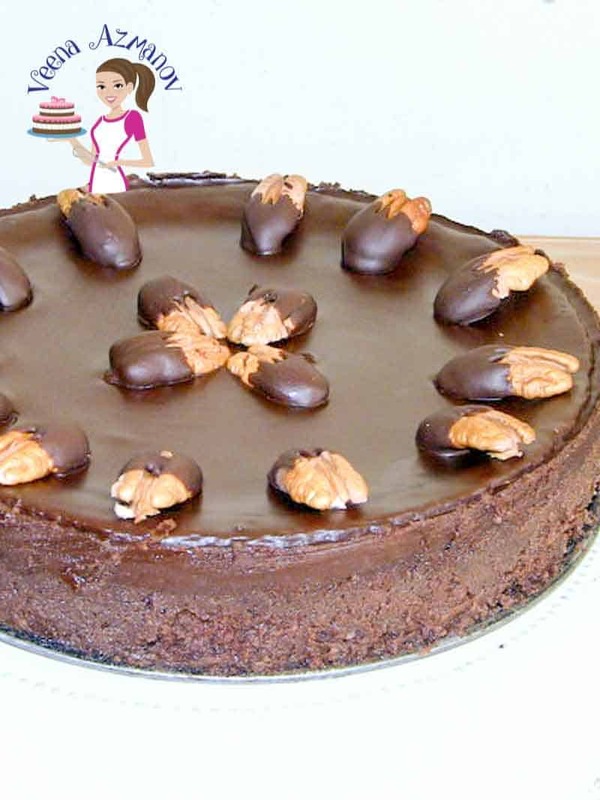 Chocolate and pecan combo sounds amazing, I can imagine how delicious this cake would taste. Thank you, Geetha. It was very delicious. Thanks, Anita. Chocolate is my weakness too. Looks delicious & scrumptious and that too a flourless cake. Thanks for the recipe. I love how rich and decadent it looks! I’ve made a flourless chocolate cake before, but not with nuts! I can’t wait to try your version! Thanks, Pam. Yes, this is rich and decadent. I’m trying to cut out gluten so this is perfect! 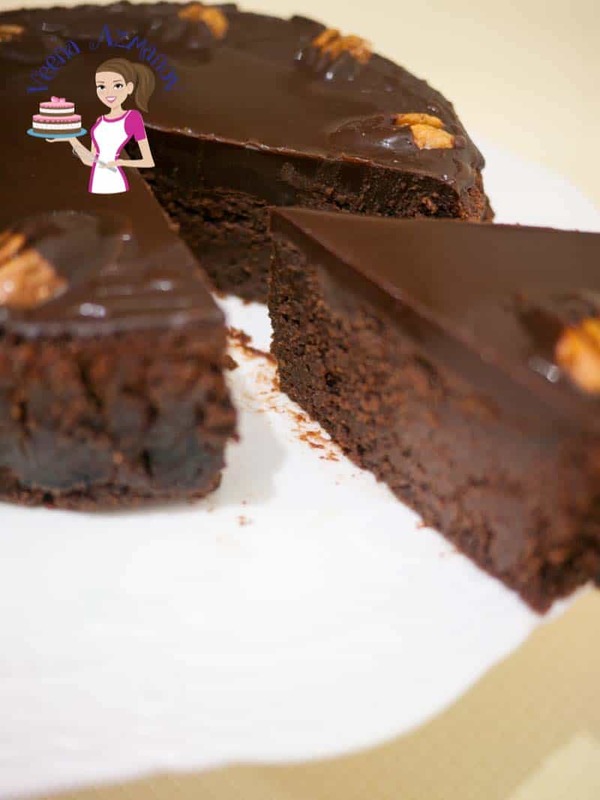 The perfect gluten free chocolate cake! Can’t wait to try this recipe out. Chocolate and Pecans are such a great combo! This cake looks amazing! This looks beautiful and delicious! Perfect for Pesach. Definitely perfect for Pesach, Andrea. I don’t think I have ever made a flourless cake but Veena’s Passover cake (love that!) looks fabulous! Def want to try it! Thanks, Jacqueline. We love flourless cake. You must try. Yes, Sarah. yeah the nos mean numbers. I’ve done that mistake in a few recipes,, because when writing the recipe in haste in the kitchen — Instead of writing large – I wrote nos. I will change as I get to them. So hard to find them in 800 over recipes. Thanks will change this soon. I will be adding a video for this soon too. It’s a very popular recipe. 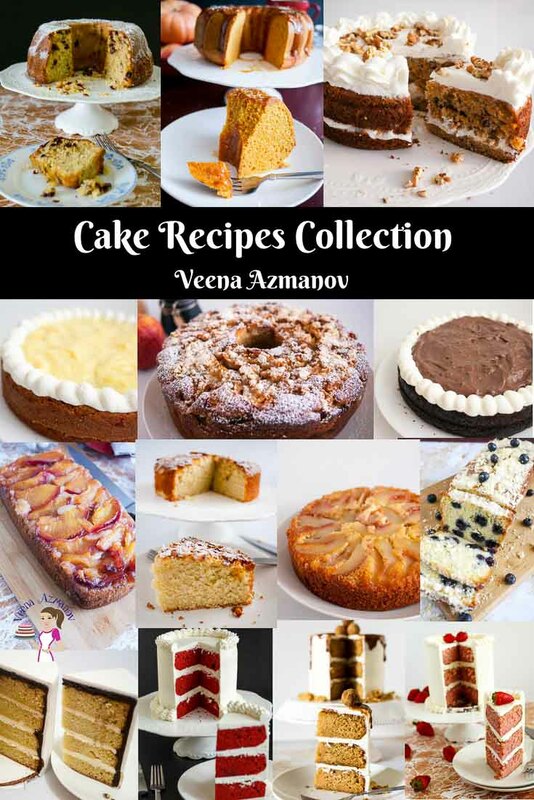 Thank you Veena – I did use three eggs and the cake was divine! So excited to have found your wonderful site! All because I googled pecan meal in cake! Thank you! Thank you, Sarah. I am so happy to hear you have success with this recipe and that you enjoyed it so much. We do love this cake and make it every year. I hope it becomes a family favorite for you too. Thank you so much for coming back to write this feedback. Positive feedback like this is so motivating and makes me happy. Thank you. You must try this Linda. You will love it. Oooooh I love a flourless chocolate cake. This sounds so delicious! Oh this totally sounds like my kind of cake. I adore chocolate and pecans together. Cut me a slice! What a glorious sounding cake, so rich and unctuous. A perfect accompaniment to a cuppa Joe! Flourless chocolate cakes are one of my favorite indulgences. They’re so thick, rich and creamy and this one looks like it has all those delicious attributes and then some. I love the way you decorated with the chocolate covered nuts and can see why they ask you to bring the dessert every year. I would too if you were bringing this cake! This looks like a fantastic and detailed recipe of a rich cake. Pecan meal use is not so common. Interesting to try. Veena, this sounds so delicious! My boyfriend is a huge fan of chocolate and would love it if I made this for him. Such a thick and chocolatey cake. This looks delicious and perfect for the upcoming holidays. Tried this cake last weekend. Love it. Thank you for sharing. Mine looked just like yours. Thank you Bascerra. So happy to here you enjoyed this recipe and that it looked exactly like mine. Thank you for coming back to write this feedback. Always happy to here from those who try my recipes. Please do tag me on Instagram @veenaazmanov when you share so I can see it. Or you can share it with me on my Facebook Page. Am baking this for second time! Everyone love it. Some even want to buy?. Thank you for this great recipe. Thank you so much Amy. I am so happy to hear that. Thank you so much Molly. Hope you try it. Oh, that looks perfect. Rich, dense and chocolatey – exactly what I want in a cake! I like that you tell why certain ingredients and step are necessary, thank you! Sometimes I try to cut corners or make substitutions and don’t always know if I’m making a mistake until it’s too late. Thank you Kelly. I like cutting corners too mostly because I’m so busy.. hence the must do steps..
Half of my family is Jewish and when I brought my redneck hubby home for our first Passover he put Tabasco in his matzo ball soup LOL!! I am always looking for things to make for them! This cake is gorgeous! Oh I know what you mean Jennifer. My husband had a new experience when he went to Bombay for the fist time.. He loved it but everything was so unlike what he is use to. Thank you Christine. If he love chocolate and pecans.. he’ll love this!! Thanks for this fabulous recipe! I’m ready to dive into that pecans and all! I’ll be looking up that cookbook, too … can always use a recommended cookbook added to the shelf. Thank you Noel. Oh it’s an amazing book.. worth every penny. This cake looks sooo good. 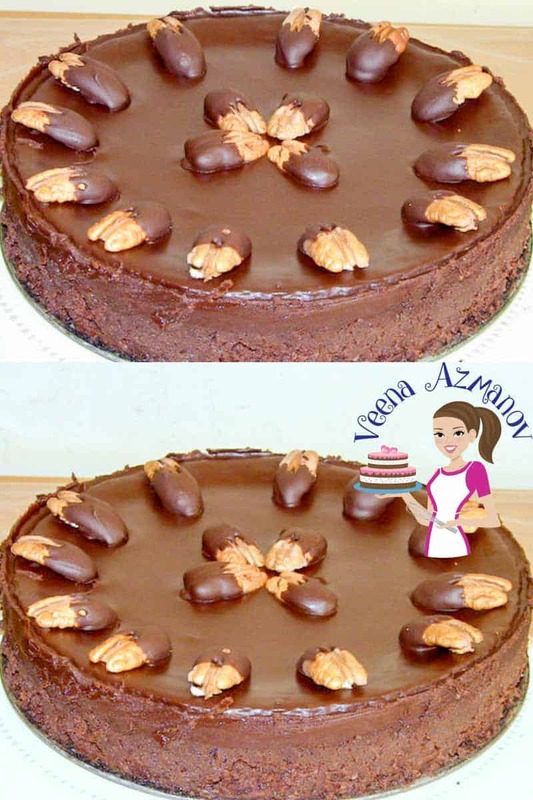 Love the chocolate and pecan combination and the fact that it’s gluten free is even more appealing! I’m so used to pecan pie as a dessert that I never think of pecans in a cake or anything like this.and then with chocolate? Yes please! It looks so incredible and moist! How lovely is this cake!!! And just perfect to Passover! Looks so rich and moist! Veena, that’s a beautiful cake! I love the idea of making it with pecan flour and I love the dense, moist look of it. A must try for sure! Thank you Byron. Yeah the Pecan and Chocolate make an excellent combination. Veena – I love love love this cake!!! I made flour less chocolate cakes before but they used almond meal and I never even thought of using other kinds of nuts. Pecans are one of my favourite nuts though so this cake just sounds absolutely amazing!!! Oh my goodness, this looks so decadent and rich! 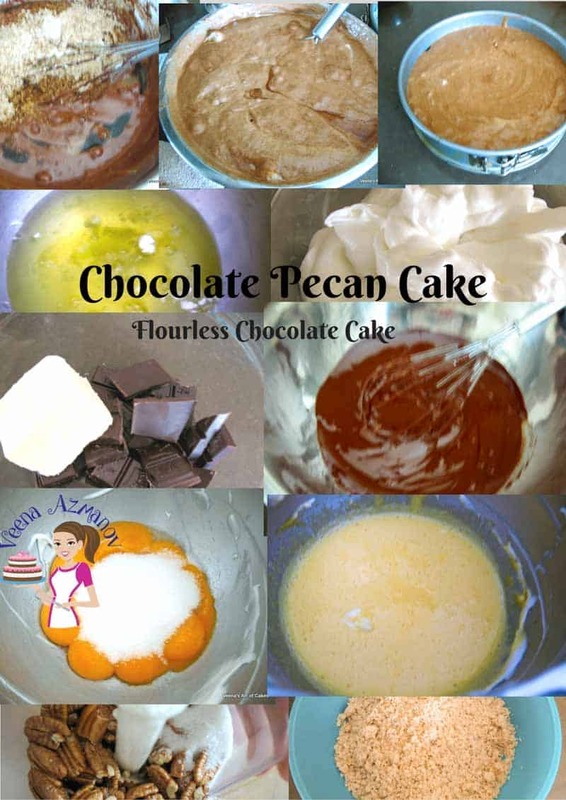 I love that this cake is gluten-free and that you used pecan meal for the “flour” base” I bet it tastes delicious! It’s so pretty too!